The association between hares and witches was one I learn about early as a child. Nan was quick to warn me to mind any hare that seems particularly watchful, or unafraid of me while playing outside. I've always found them a little unsettling as a result, but interesting nonetheless. Bones of course just thinks they're cute, but then she is the brave one. Our witch-hare would make a most excellent familiar. With both lapine, and avian features they're quick-witted, and swift, and if they like you can be quite helpful... if they like you. Witch-hares are roughly a foot long, longer when stretched out, with a 13.5" wingspan. They can stand on their hind legs, on all fours, lie down or loaf-up like a proper hare. They are fully articulated, from wings to scaly little toes, without the use of fragile wire. Their heads and feet are cast resin from our original sculpts, hand painted and sealed to match their faux fur and heavy-felt bodies. 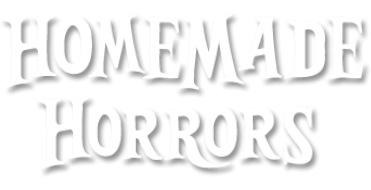 As ever, homemade horrors are each handmade so no two are ever exactly alike. This feather-bun can be on its way in five to seven business days. Please note shipping does not include tracking. Witch Hares ship free worldwide!